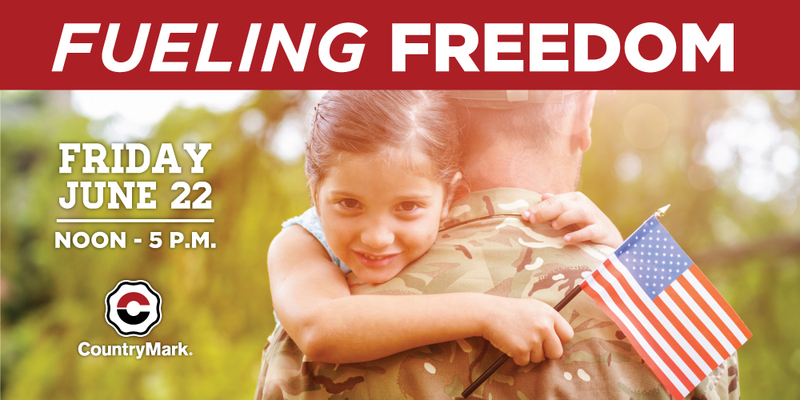 On Friday, June 22, Premier Energy and CountryMark fuel stations across the Midwest will host Fueling Freedom, an event dedicated to supporting local military families. Between noon and 5 p.m., CountryMark and member owners including Premier Energy will donate 50 cents for every gallon of fuel pumped to local National Guard Family Readiness Groups at participating Fueling Freedom retail sites. CountryMark initiated the Fueling Freedom fundraiser in 2008 as a way to support military families. In 2017, CountryMark raised more than $50,000 for local National Guard Family Readiness Groups. Many of the Family Readiness Groups use their funds to host military family summer picnics, Christmas parties, after-school programs, as well as to send packages to deployed local soldiers. Brownstown, IN – 1300 W. Commerce St.
Greensburg, IN -766 W. Main St.
Greensburg, IN – 1001 N. Lincoln St.
Seymour, IN -101 Community Dr.